Canada and the United States are signatory to several water treaties and agreements. Treaties and Conventions include the 1909 Boundary Waters Treaty, the 1925 Lake of the Woods Convention and Protocol, the 1940 Rainy Lake Convention, the 1950 Niagara River Water Diversion Treaty, the 1961 Columbia River Treaty and Protocol (1964), and the 1984 Skagit River Treaty. Other Agreements include the St. Lawrence Seaway Project (1952), the Great Lakes Water Quality Agreement (1972, 1978, 1987), the Water Supply and Flood Control in the Souris River Basin (1989), and the Great Lakes Charter of 1985, which includes the Great Lakes Annex 2001. The Great Lakes Annex 2001 was developed to update the Great Lakes regional water management system and ensure the Great Lakes are protected, conserved, restored, and improved for future generations. The Great Lakes are the drinking water source for one third of Canadians. In July 2004, the draft implementing agreements for the Great Lakes Annex 2001 were released by the Great Lakes Governors and Premiers (Wisconsin, Ohio, Illinois, Michigan, Indiana, New York, Minnesota, Pennsylvania, Ontario, and Quebec). There was a great deal of controversy over the July 2004 draft implementing agreements for the Great Lakes Annex 2001; critics suggested that the 2004 draft agreements failed to restrict how much water can be withdrawn from the Great Lakes, and left the door open for long distance water removals and water exports. The 2004 draft agreements also do not distinguish between water uses inside the water basin and water uses outside the Great Lakes ecosystem. Other critics have labeled the 2004 draft Great Lakes Annex 2001 implementing agreements a complex water-taking permit program, as opposed to a resource-based conservation standard that would keep the water where it belongs: in the basin. The 2004 draft implementing agreements were subject to a 90-day public hearings process on both sides of the border. Public response was overwhelming as thousands of residents in the region called for stronger protection for Great Lakes waters. Ontario refused to sign the agreements unless changes were made to enhance the level of protection for Great Lakes Basin waters. This was one of the factors that led the Great Lakes Governors and Premiers to go back to the negotiation table. 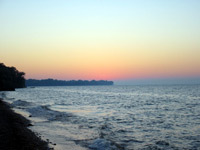 On June 30, 2005, the Great Lakes Governors and Premiers of the U.S. states and Canadian provinces that share the Great Lakes released the second draft of the Great Lakes Annex Implementing Agreements. A sixty-day public comment period also began on the day of the release. View revised 2005 draft Great Lakes Charter Annex agreements by entering EBR Registry Number PB04E6018. Various press releases and analysis of the 2005 draft Great Lakes Charter Annex agreements have been posted by interested parties - both governments and NGOs. International Souris River Board (ISRB): The ISRB was established by the IJC to assist in preventing/resolving disputes relating to the trans-boundary waters of the Souris River basin. In creating the ISRB, the IJC combined the responsibilities of the International Souris River Board of Control and the Souris River aspects of the International Souris-Red Rivers Engineering Board. International Red River Board (IRRB): The IRRB was established by the IJC to assist in preventing/resolving disputes relating to the trans-boundary waters of the Red River basin. In creating the IRRB, the IJC combined the responsibilities of the International Souris-Red Rivers Engineering Board and the International Red River Pollution Board. The IJC established the International Red River Basin Task Force to undertake an examination of flooding issues and provide recommendations to minimize further flood damages along the Red River. The Task Force released a final report in November 2000 entitled Living With the Red - A report to the Governments of Canada and the United States on Reducing Flood Impacts in the Red River Basin. In addition to IJC established bodies, the Red River Basin Commission was established in 2002 to address land and water issues in a basin-wide context. It formed as a result of a merger between The Red River Basin Board, The International Coalition, and the Red River Water Resources Council. Recent US/Manitoba flooding of the Red River, especially in 1997 showed the need for a joint commission. In 1948, the governments of Saskatchewan, Alberta, Manitoba and Canada created the Prairie Provinces Water Board (PPWB). The PPWB recommends best use of water and water allocations between the provinces. In 1969, the four parties signed the Master Agreement on Apportionment (MAA). The MAA outlines a formula where Alberta and Saskatchewan are entitled to each take up to one half of the natural flow of water originating within its boundaries and one half of the flow entering the province (Manitoba is entitled to the balance). The PPWB has three permanent committees: Committee on Hydrology; Committee on Water Quality, pursuant to the Agreement on Water Quality signed in 1992 and attached to the MAA as Schedule E; and the Committee on Groundwater. The Shellmouth Dam and associated Portage la Prairie diversion were designed to provide security against flooding, and to control and regulate water supply of the lower Assiniboine River. Located 19 kilometers northwest of Russell Manitoba, the Shellmouth dam controls water flow at the convergence of the Assiniboine and Shell rivers. The dam, completed in 1969, is an earth-fill structure with a reinforced concrete overflow spillway and gated low-level outlet. The low level outlet is used for controlled release of day-to-day flows. The spillway discharges major flood flows to the Assiniboine River. The reservoir created by the dam is known as Lake of the Prairies. It is approximately 35 miles (56 kilometres) long with a storage capacity of 300,000 acre feet (370,000 dam3) at the summer target operating level of 1402.5 feet (427.5 metres). The surface area of water stored in the reservoir at summer target operating level is 13,500 acres (5,500 hectares). Under the federal-provincial agreement for the project, Prairie Farm Rehabilitation Administration (PFRA) - the responsible federal agency- planned and oversaw construction of the dam, while Manitoba was responsible for building the diversion. The total cost to Canada was $14.8 million. In 1975, PFRA transferred ownership and maintenance responsibilities of the Shellmouth Dam to Manitoba provincial government. In January, 2003, an $8 million Canada-Manitoba Shellmouth Dam Consolidation Agreement was signed to upgrade the Shellmouth, pay compensations for past damages (to farmers due to seeding delays as a result of reservoir operation), purchase additional land adjacent to the lake to avoid future legal claims, and to study the social and environmental impacts of the entire project. Water supply enhancement is not needed today on the Assiniboine River, but it is projected that, at some point in the future, demand for water may outstrip supply. For example, the needs of existing vegetable processors and meat packers, plans for future potato processing plant expansion, establishment of potential ethanol production facilities and requirements for municipal water supply expansion could consume the current unallocated annual water supply of 20,000 acre-feet. The undertaking to upgrade the Shellmouth Dam will require an environmental assessment and both provincial and federal approval. Currently, as of November 2005 environmental assessment work for the Shellmouth Dam upgrade project has begun, but the formal (regulatory) process has not been initiated; no project proposal has been filed with provincial and federal regulatory agencies. An Environmental Impact Assessment (EIA) Issues Scoping report is posted on the Canada-Manitoba Shellmouth Dam Consolidation Agreement web site along with other reports on public meetings held. The EIA Issues Scoping report identifies environmental issues of concern in relation to the project, including water quality, increased erosion, impacts on fisheries, changes in natural flood regimes, loss of riparian lands and heritage sites, risks to infrastructure and problems with dam operation. These issues were the identified through public meetings held in the winter of 2003/2004. Water policies, decisions, and regulations for water quality, licensed use, conservation and management in Manitoba are a maze of complicated legislation, government departments, boards, and policies. 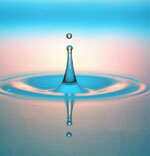 Information about some of these water issues is urgently needed and timely, as it is pertinent to current events. Our Water pages provide information, reports, and links. However, we saw a need for information about specific water issues, agencies, agreements, legislation and policies that affect our province and its citizens. Manitoba Wildlands is developing a set of Water Fact Sheets. Reuse of these Water Fact Sheets is encouraged with credit to Manitoba Wildlands.